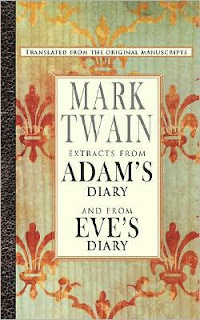 I didn't even know that Mark Twain had written a book like this! I can't wait to find a copy and try it out, thanks for the great review! This is the first time I've ever heard of these diaries! I love this review and I'm going to see if I can locate these online. They sound like a joy! Sarahsaysread.Com - It's really good, you should definitely read it :) Thanks for stopping by! Risa - Thanks, you will find them online! After reading Huck Finn, and I read it pretty late, I've been obsessed with Mark Twain! !